I have located a 12' disk harrow, the owner says its a RWA, it has a bad axle bearing. The owner pulled the gang and bearing, but got tired of working on it. How hard is it to replace the bearing? I see them listed online, from $9.99 to $100.00. I also saw the bearing housing halfs for sale. Can I just buy 2 of these, a bearing, and clamp them together? Anything I need to know about the RWA? Good or bad? JD RWA disk harrow are notorious for ridging the soil. If I was looking for a disk harrow it would not be a JD RWA. What if it can be had for under 500 bucks? I once had a 10' RWA. 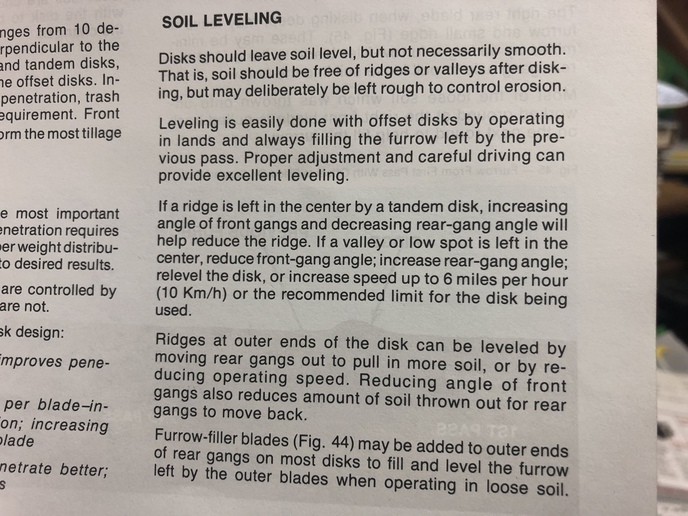 Nice little disk,but would tend to ridge.That could be somewhat 'remedied' by setting the front disks a bit deeper than the rear.I'm more concerned about bearings. 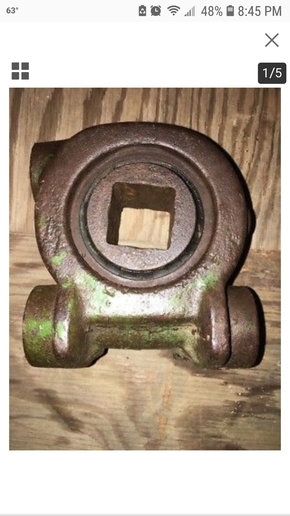 Are they the old cast iron 'boxing' type,or regular ball/roller bearings.IIRC,JD disk bearings are expencive.Unless it is CHEAP,I'd look for an Oliver,IH or something else. Delta, it was almost dark but im pretty sure it had the cast iron "box " that held the bearings. Ag center shows several bearings for the rwa. How hard is it to replace the bearing? Like any other bearing. Dismntle the whole gang. 3 1/2 to 4 1/2 MPH. Does it have actual bearings or have the white iron type? As near as i can tell it has regular bearings in the cast-iron mounting. 1/2 of that would be somewhere near a good price. The statement about changing gang angle on a RWA doesn't apply as gangs have only one(1) angle that they can be set short of utilizing a cutting torch. Can someone tell me if the bearing in the cast- iron housing can be pressed out and a new one pressed in? I've looked online and can't find a schematic. After removing snap ring brg can be pressed out/in of cast iron housing.